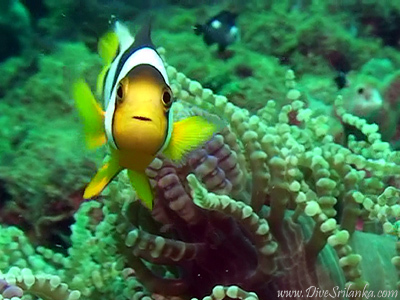 Welcome to Sri Lanka, a dreamscape destination for your next diving adventure! Still, awe-inspiring lagoons, an abundance of marine life and fauna, underwater caves and rock formations, hundreds of fabulous dive sites and dozens of famous ship wrecks dating back to the colonial era – the paradise island has everything you could ask for. From the Great Basses on the South East coast, where the currents have carved ravines, caves and pinnacles for endless exploration, to the shipwrecks off the coast of Unawatuna, to Moray Eels and Sting Rays off the North West coast, you will experience the ultimate a scuba diving holiday can offer! Also expect to see Giant Maori Wrasses, Snappers, Tuna, Green Turtle, Gray Sharks and, of course, breathtaking coral. There are a myriad of Dive Centers that vary in their quality with the major ones located in reputed hotels and run by PADI certified professionals who have an intimate knowledge of local dive sites. And though Sri Lanka may not be much known as a famous diving destination, it is truly blessed with fantastic dive spots that can gratify novice and thrill seeker divers alike. With sea water temperature identical to the air temperature (over 25°C) and an average underwater visibility between 15m to 40m, plus the spectacular superbly colorful marine scene, Sri Lanka is a haven that never fails to dazzle. Two basic diving seasons are underlined: if you want a diving holiday in the south and west regions, the best months are November through April, and if you want to explore the eastern and northern regions, consider your holiday from May to September. Hikkaduwa is known for its amazing coral sanctuary and the variety of astonishing dive sites. Do not miss out the Back Coral Point – where you will meet face-to-face with schools of angle fish and snappers, the stunning Coral Garden Cave with numerous numbers of various marine habitats and the Hikkapadwa Gala covered with Hikkaduwa Coral Reef, which is best-known as the most colorful coral bed. Surprisingly uncharted by tourism, this unique spot houses the largest coral reef in the country, the Bar Reef, inhabited by hues of tropical fish, including reef sharks, manta rays and turtles. The Ridge is another fine diving getaway, offering an exclusive showcase of marine life sure to delight. Weligima is another popular location in Sri Lanka, famous for Yala Rock – an area with huge rocks (up to 15 m high), small caves teeming with rays, napoleon and parrotfish, as well as majestic nudibranchs. For novice divers, Weligima offers the Marissa Point, where there is an abundance of cuttlefish, octopus and sleeping parrotfish. Sri Lanka is a fast growing diving destination at present, so if you have a wish for new and memorable discoveries, do not look further and plan a diving holiday, the one I am sure you’ll enjoy at its best! Cheap Car Hire Rates: www.cheapcarhirerates.com . When going on scuba holidays it is good to have a rental cars. This one you can book easily at www.cheapcarhirerates.com and save big time by comparing many different suppliers in one search. the saved money you can better spend on the scuba fun.